eTrack Timesheets are very simple to use and yet are very powerful allowing staff to enter weekly time and disbursements on a single screen. All the features you are likely to need now and in the future are included, or can be hidden for simplicity. Time and disbursements are fully integrated with accounts, invoicing, budgets and schedules. If you are using the Schedule feature, actual time is graphically shown and estimates are automatically updated and dependent work moved. Configure your own Disbursement or Expense Types and units. 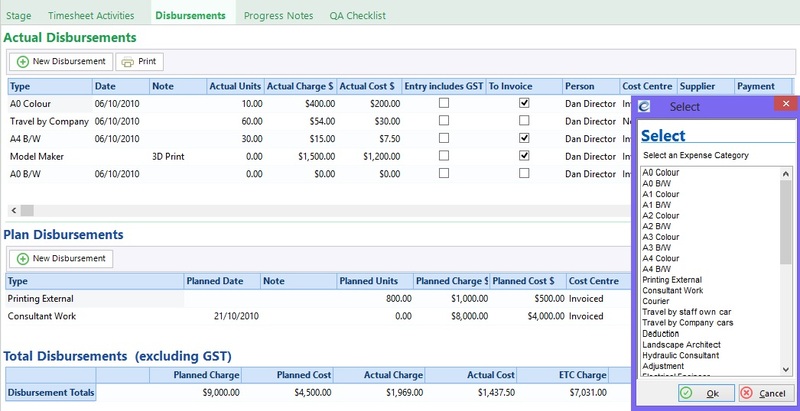 Plan disbursements, record actual disbursements and view totals and balance. 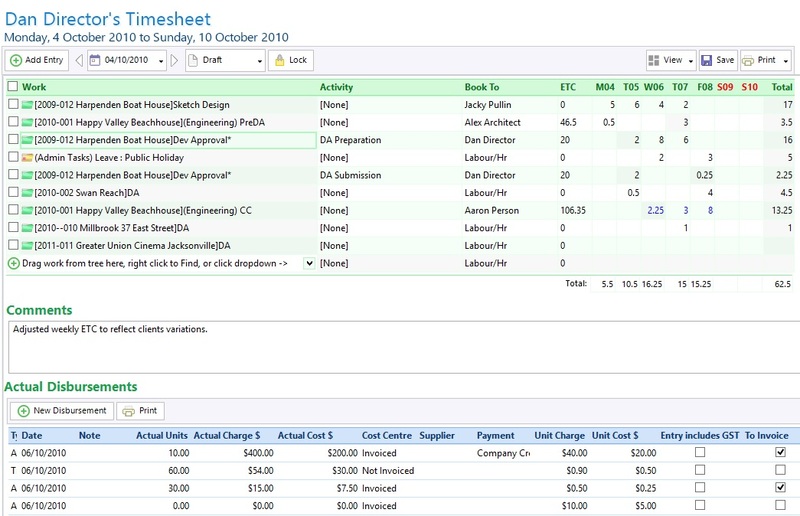 Include actual disbursement entry on the Timesheet screen.